Marina Davidovich: #40~October 1980~Hello, Jacksonville! I forgot to mention a very important event that happened in December 1979. Around Christmas time we were invited to spend Holidays in West Palm Beach, Florida. Ida's friend had a condominium there. She helped us to rent a room in a private home and Felix, Ida, Masha and I got in our little yellow "Dutch Colt" and were on our way to sunny Florida. Elizabeth stayed home with my parents. She was too little to make this trip. We were driving, singing Christmas carols, eating snacks and finally arrived to Jacksonville, Florida. We decided to stop and visit my friend from College, Alla. They immigrated to the States just like we did, about 2 years after we left Ukraine. It was so exciting to see her, meet her husband, Mark and their baby Stacy. They lived in a 2 bedroom apartment and we stayed up all night talking about our college years, exchanging stories about people we knew, about people we met in America and talked/dreamed about our life in the US. Next day it was raining and our plans to go to the beach had to be cancelled. Out of curiosity I opened a phone book and looked up Gymnastics Schools in the area. I found one and Alla said that she knows the owner, Bob Salstone. We decided to go see the school, just for fun. It was located in Orange Park, about 30 minutes from their home. We were impressed by the long ride over Buckman Bridge. I loved the fact that we could walk in shorts and sandals in December!! !, it was sunny and warm, and everyone seemed much nicer. When we arrived to CC Gymnastics (stands for Clay County Gymnastics), the owner, a very young man - Bob Salstone, greeted us with the smile and showed us around. It was a free standing cute building with everything you need to teach gymnastics to the kids. We walked around, talked and he lightheartedly asked us if we would be interested in buying it. We all laughed and joked about it. After short, but fun visit, we were on our way to Palm Beach. The reason that this incident is important: after few months we did receive a phone call from Bob and he asked us very seriously this time if we would be interested to move to Orange Park and buy his Gym. He was moving to Chicago. We looked at each other, and after a short discussion decided to give it a try. Felix got on the plane and went to visit him to discuss all the details. Honestly, I did not think it would work. I just could not see myself as a business owner... But Felix had other ideas and plans. It was very difficult to let Steve, our friends and especially my students know about our plans. Everyone was very sad to see us go. Some were happy for us, for the opportunity we had. Some were saying that we will not last a month and will be begging to come back. Some just did not talk at all. We did not know what was ahead of us. Again we jumped with our eyes closed and hoped for the best. But we were together. My parents stayed behind until the house would be sold. 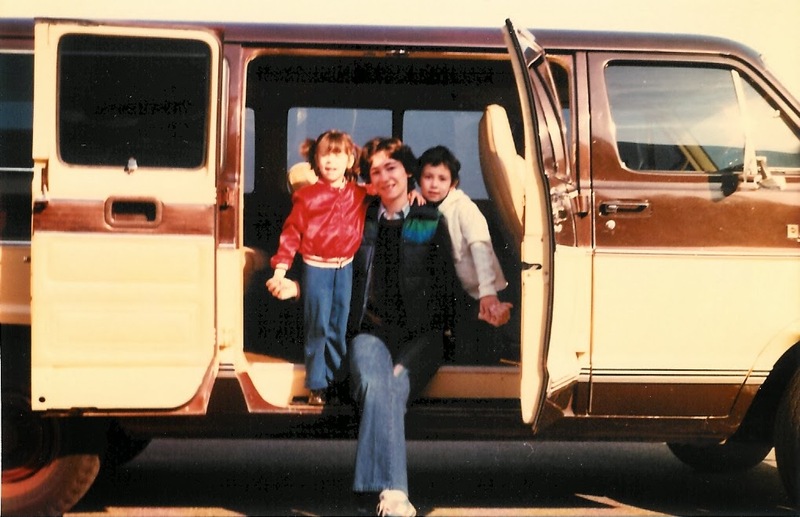 At the end of September 1980 we packed our station wagon with most necessary things and were on our way to sunny Jacksonville, Florida! New chapter of our lives was about to start!